Peel and chop the funky looking vegetable called celery root. Bring pot to a boil and add chopped celery root, potato, bay leaves, salt, and a sprig of tarragon. Cook until tender. Purée until smooth, but do not over blend as starch in the vegetables may become sticky. Remove the “foot” if attached. Pat scallops with paper towel and season with salt and pepper. Heat pan to medium heat,add 1T butter and melt. 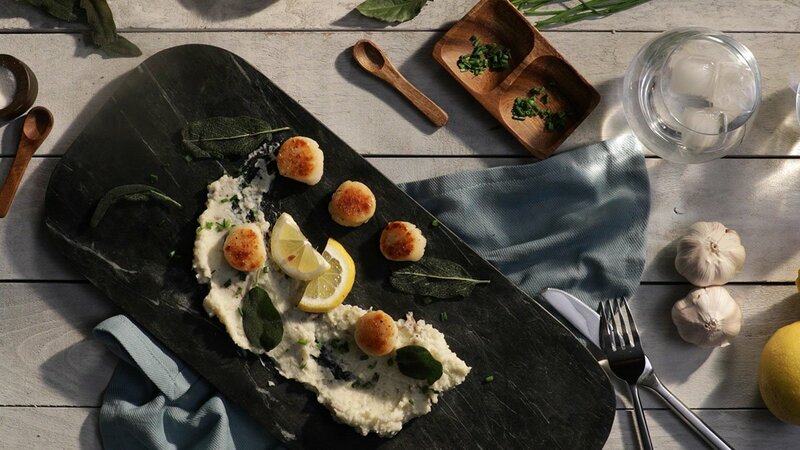 TIP: Before adding sea scallops, allow pan to reach temperature to ensure a golden sear. Cook scallops 2-3 min per side, until golden brown. 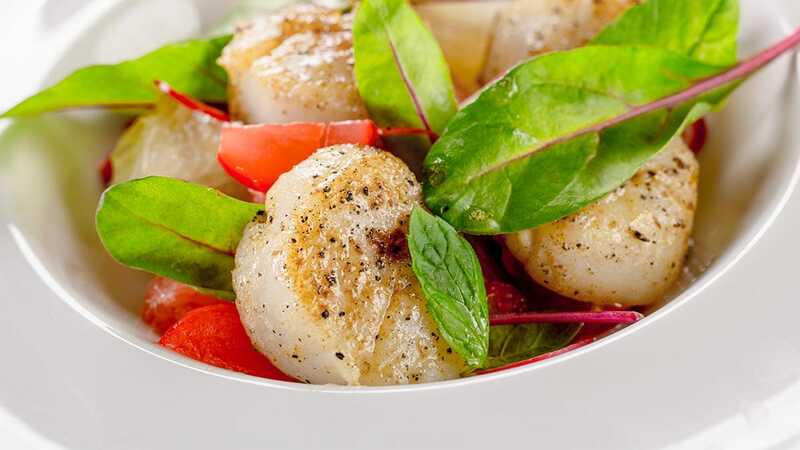 TIP: Allow scallops to sear and do not touch while cooking. Immediately Add 1T butter to pan and add sage leaves leaves. Cook until crispy. TIP: only takes about a minute. Using the same pan, Increase temperature to high. Add aprox 5-7 T butter and brown until butter is foamy ( about 2-3 min). Spread celery root purée on your favourite plate(s). Top with 5 seared scallops. Drizzle browned butter and a squeeze of lemon. Garnish with chives and chopped tarragon.